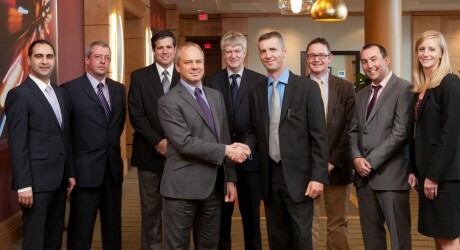 STATS Group has been awarded a global frame agreement by BP to provide pipeline isolation and intervention services. The Aberdeen-based pipeline engineering specialist has worked with BP in the past, but this three year agreement formalises the relationship covering all BP’s regional business units. STATS has committed to developing industry best practice by working with BP and three other contracting parties to develop and promote industry standards. Recent projects performed by STATS on BP assets include workscopes in the North Sea, Azerbaijan, Angola and Trinidad. A BP spokesperson said: “This contract marks a significant achievement as the culmination of work with supplier engagement and evaluations. Safe isolations are important across BP’s operations for works such as valve replacement and for plant/platform shutdowns. STATS Group chief executive officer, Pete Duguid, said: “We are delighted to secure this contract which will strengthen our relationship with BP and confirms our position as a leading provider of pipeline isolation services to the global oil and gas market. STATS was founded in 1998 and has developed a range of patented plugs and isolation tools which are all designed, manufactured, assembled and tested in Aberdeen. Pic caption: Ian Neilson (centre left), chief engineer, pipeline and civil engineering BP, with STATS Group CEO Pete Duguid. “STATS Group” is the recognised company name. The business was founded in Aberdeen in 1998 as Specialist Tools and Testing Services. In 2009, STATS Group invested £5million in a new headquarters at Kintore near Aberdeen, which includes 40,000sq ft of workshops, storage and testing facilities. In February 2012, Business Growth Fund (BGF) invested £7.8million in STATS Group. BGF was established to help the UK’s fast growing smaller and medium sized businesses. BGF is an independent company with capital of up to £2.5billion, backed by five of the UK’s main banking groups – Barclays, HSBC, Lloyds, RBS, and Standard Chartered. BGF is managed completely autonomously with an independent management team.